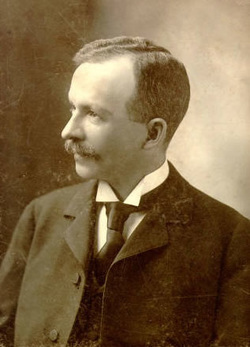 Charles Waddell Chesnutt (June 20, 1858 – November 15, 1932) was an African American author, essayist, political activist and lawyer, best known for his novels and short stories exploring complex issues of racial and social identity in the post-Civil War South. Many families of free people of color were formed in the colonial and early Federal period; some attained education and property; in addition there were many mixed-race slaves, who as freedmen after the war were part of the complex society of the South. Two of his books were adapted as silent films in 1926 and 1927 by the African-American director and producer Oscar Micheaux. Following the civil rights movement of the 20th century, interest in Chesnutt's works was revived. Several of his books were published in new editions, and he received formal recognition. A commemorative stamp was printed in 2008.